﻿We would like to take the opportunity to express our interest in working with you. 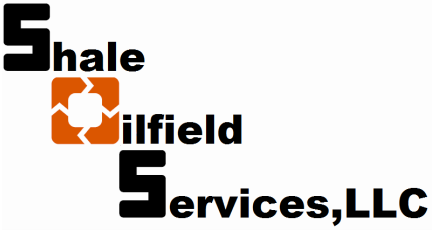 Adding Shale Oilfield Services LLC to your team; would enhance your ability to get the job done. Robert Ayala, has personally worked with some of the biggest players in the industry; and supervised many of the day to day operations, builds and repairs over the past 7 years. While doing so he became known as the "go to guy"; and continues to live up to that high standard. Our Operators and Swampers, all have multiple years of experience and are highly trained in the operation of the trucks and the utilization of them to expose the desired pipes/lines. Pot-holing and trenching are only a few of the services we are capable providing. We are experienced in tank clean-outs, rig cleans, spill cleanup to list a few; and all Operators and Swampers are Certified "Confined Spaced" and "Hazwoper" trained. ﻿Our trucks come with a crew of two (2) and are available seven (7) days a week, twenty four (24) hours a day. Support personnel are available if necessary. At Shale our employees are not just employees, they are all an integral part of our team. They are each hand selected champions, trained and held to a very high standard. Each of our team members have a unique set of qualities and experience that enhance the SOS experience. Our team has over 25 years of combined experience in Hydrovac and Pipeline Services. Shale oilfield services provides services to contractors, engineers and facility owners in the oil, gas, telecommunications, power and transportation industries.